Ane Mokalou confronted the most dreaded moment for a soldier’s wife on Friday. 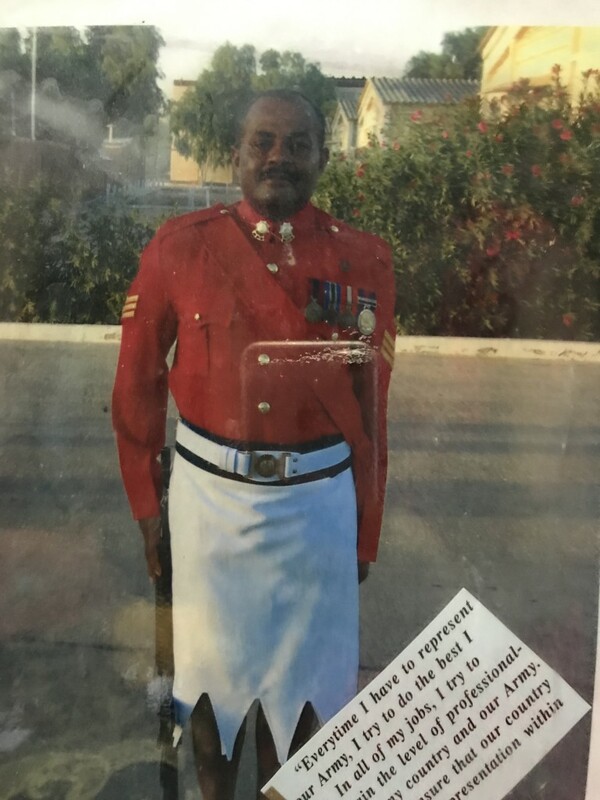 She was at home in Naila Village in Tailevu when a military team arrived to give her the tragic news that her husband Warrant Officer I Josevata Mokalou had been killed by a vehicle in an alleged hit-and-run incident in Nadi on Friday morning. “He was a loving husband and father to our three children and grandfather to our three grandchil­dren. Mrs Mokalou said he was a loyal soldier of the Republic of Fiji Military Forces. The 56-year-old Mr Mokalou was supposed to have retired last year. But the RFMF ex­tended his contract one more year. He had five months left. He was based at the RFMF Black Rock Camp, Votualevu, Nadi, and was expecting to see his second eld­est son, a soldier, Erwin Mokalou, return from peacekeeping duties in the Sinai on Wednesday. He was jogging in his normal rou­tine exercise on Queens Road near the Votualevu Roundabout opposite the Aerotown Service Station when he was hit by a vehicle at 6am. The alleged driver of the vehicle had fled the scene after the accident but was later apprehended by Po­lice and held in custody. Mr Mokalou was expected to come to Suva on Friday to see his family. Mrs Mokalou said they were ex­pecting him at home for the week­end. Then he would leave again early tomorrow to go back to Nadi and welcome back Erwin, 26, from Sinai. She said he was excited to meet his son when he learned that Erwin had won awards and medals while serving under the Multinational Force and Observers in the trou­bled Sinai area of Egypt. Mrs Mokalou, 49, said she met her husband during the 1987 military coup and they instantly fell in love. They got married in 1989 and had three sons – eldest Osea Mokalou, 28, Erwin Mokalou, 26, and young­est Uniani Mokalou, 22. He had served as a peacekeeper in Sinai with MFO, Lebanon, with the United Nations Interim Force in Lebanon (UNIFIL) and Iraq with the Guard Force for the UN. The late Warrant Officer I, Josevata Mokalou. Mrs Mokalou said she “misses the special and beautiful moments with her husband” at My Suva Park in Nasese, Suva. The last time they had a family fun day was on April 22. She said she spoke to her husband on Thursday night and was expecting to see him home for the weekend. But little did she know that he would come home in a coffin. “We could not believe that he was gone. We got the news by the RFMF team around midday on Friday,” Ms Mokalou said. 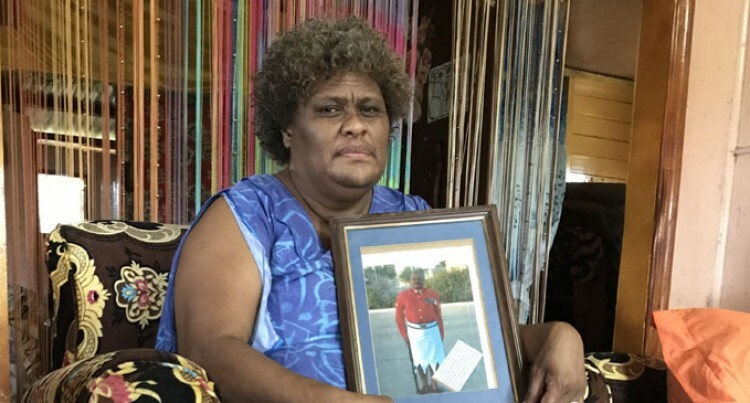 She said they were preparing for his arrival on Friday when the RFMF team arrived at their door­step. “I instantly broke into tears be­cause I had never imagined I would lose him such a way,” she said. “He was our role model of the fam­ily and he treated everyone equally. “He had said to me that after his retirement which was after five months, he would spend all his time with me and the children.